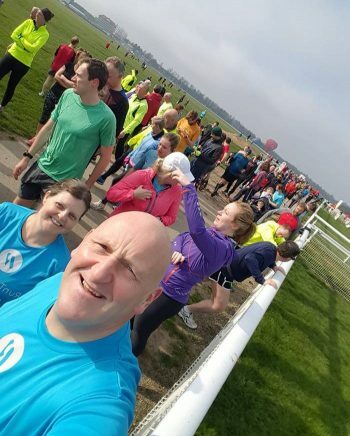 parkrun PB for Aimee (26.11), Helen S (30.20) and a first time parkrun attendance for Florence who finished in 23.49. 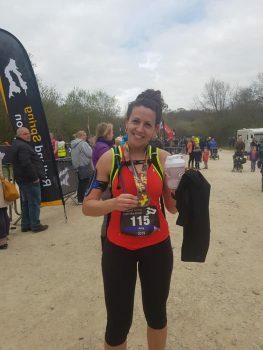 Rutland Half Marathon – Well done to these girls who completed their first Half Marathon after only one year of running: Annika (2.27.37), Dani (2.29.21), Nikkita (2.29.51), Hilary (2.41.15) and Helen J (2.42.40). And to Amy who got a PB (1.58.33). 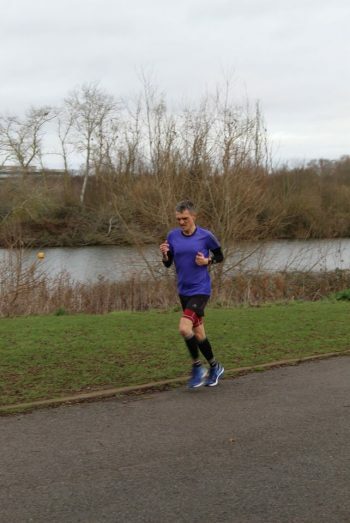 parkrun PBs for Mark (30.19) at Peterborough and Jean (pictured) at York (37.41). First Time 10Ks for Jo (1.06.29), Kim (1.14.37), Caroline (1.14.38), Mark (1.14.37), & Lorraine (1.13.07). And PBs for Elaine (1.13.20), Cathy (1.13.21),Dani (1.00.50) & Nikkita (1.00.52) with a 5K PB for Kat (26.37) & Jean (38.51). 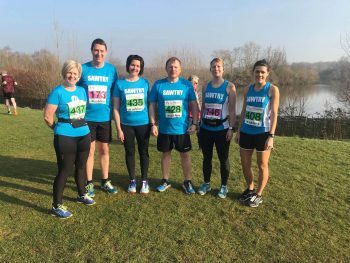 3 March – Half Marathon PBs at Cambridge for Ryan (1.26.07), Travis (1.39.55), Dan (2.00.58), Catherine (2.02.52), Laura D (2.04.27), Kat (2.07.03), Lizzie (2.06.44), David (2.23.10), Helen S (2.43.19). Our first lady home was Laura W in an impressive 1.45.01. 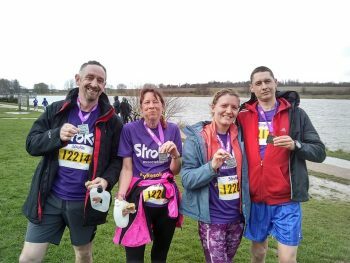 23 February – a host of parkrun PBs for our runners with Ryan (18.48), Lizzie (24.50), David (27.23), Andrea (28.51) and Jo A (39.42) – well done! 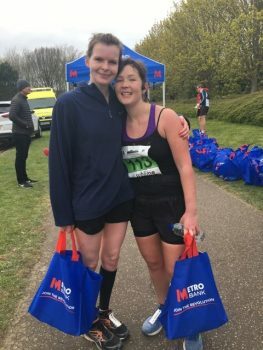 16 February – a parkrun PB for Meg at Long Eaton (24.35). 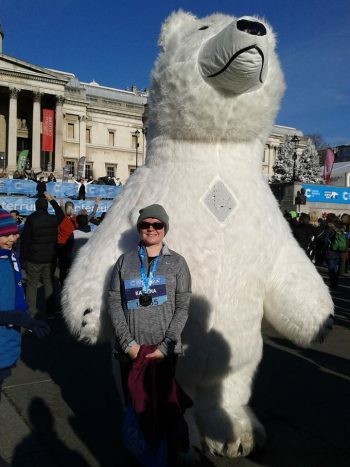 3 February – 10K PB (56.30) for Kat at the London Winter 10K which she achieved despite stopping off en route for some photo ops! 26 January – parkrun PBs for Richard (pictured) 20.02, Jo C 31.32 with both Mark and Catherine completing their first parkruns in 33.49 & 28.53 respectively. 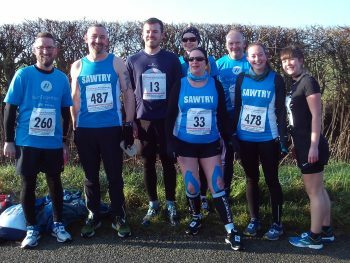 20 January – Folksworth 15. PBS all round as all first time entrants: Ryan (1.40.59), Nib in (1.58.59), Travis (2.04.04), Gavin (2.08.35), Meg (2.14.23), Laura (2.23.09), Dan (2.26.03), Lizzie (2.43.34), Andrea 2.43.34. Andrea was 6th in her age category. 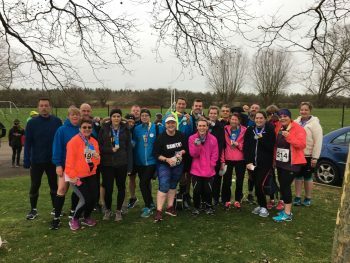 12 January – Our first outing of the year was to the Oundle 10k where 8 of our 23 runners bagged a PB.Gavin (49.55), Carol (53.08), Anna-Marie (53.27), Lizzie (54.30), Linda (55.42), Helen (1.05.57), Nikkita (1.01.46) & Annika (1.02.20). 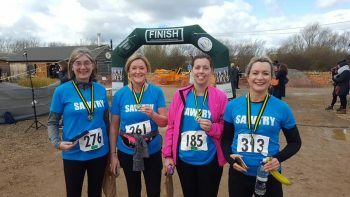 We also had 4 runners run a competitive 10k for the first time: Catherine (55.09) Sonia (56.52) and Katie (58.56), Becky (1.06.44).